As is the case for our overall safety philosophy, Transportes Martín is also committed to Technology in every sense. Our commitment to quality and ongoing improvement means we are always at the forefront, both at our logistics offices and on board our tractor units and tankers. We demand that all of our partners meet these technological and quality standards as well. New technology has revolutionized the way we plan and carry out our work. We are fiercely committed to taking full advantage of the “information highway”. This initiative has allowed us to increase turnaround and quality in our management and administration in our offices, enabling us to receive our customers’ orders online and in real time, via EDI, Intranet or other systems they use: ELEMICA, TRANSWIDE,AXIT4, TRANSPOREON,etc. In addition, we have also implemented a GPS tracking system which allows our Logistics Department to analyse route data in order to optimize fleet management and deliveries along with other tasks. 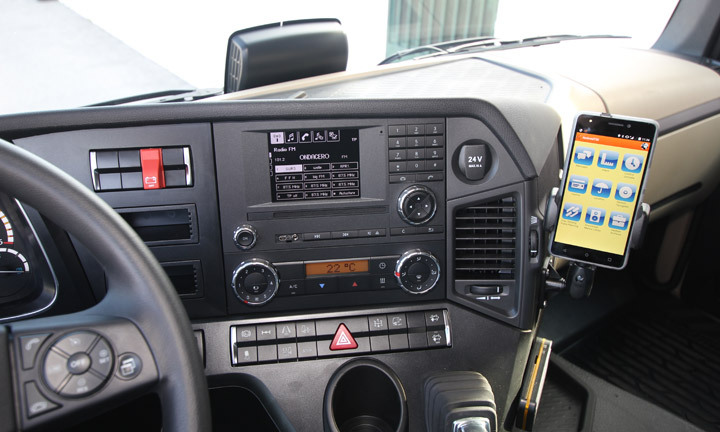 This technological revolution has also made its way into the hands of our drivers, who have been provided with cutting edge mobile phones and/or tablets that will help them maintain ongoing and fluid communication with our Headquarters. Drivers also have a GPS system enabling optimum route planning for the fleet as explained above. 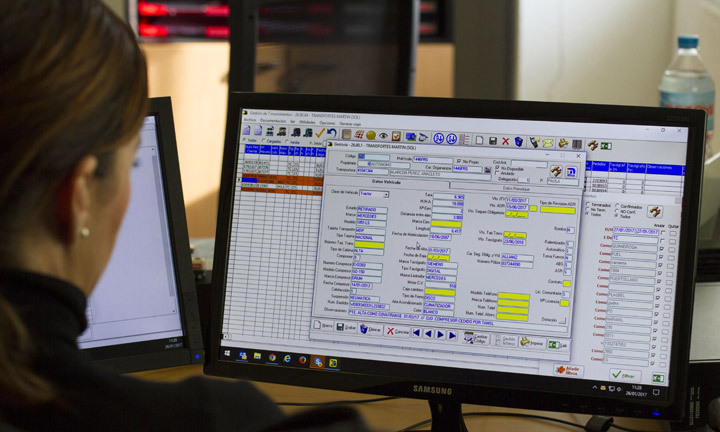 At Transportes Martín, our keen interest in the use of the latest technology extends even further – believing that ongoing investment in fleet renewal will result in added benefits such as better active and passive safety features, savings in fuel consumption, and emissions reduction whilst guaranteeing maximum efficiency. This not only means acquiring the most innovative tractor units available on the market, but also tankers with the latest features and the most innovative systems.